Our Schwoerer house in London is finally coming together and I’m pleased to show you a sneak peak at one of the key elements of the house. We have a bespoke staircase running from the basement up to the top floor. This staircase covers 4 floors and is in the centre of the house. When you come in the front door or out of one of the main rooms you will run into the staircase. It was important that I get the staircase exactly right because it would be a main feature of the house! 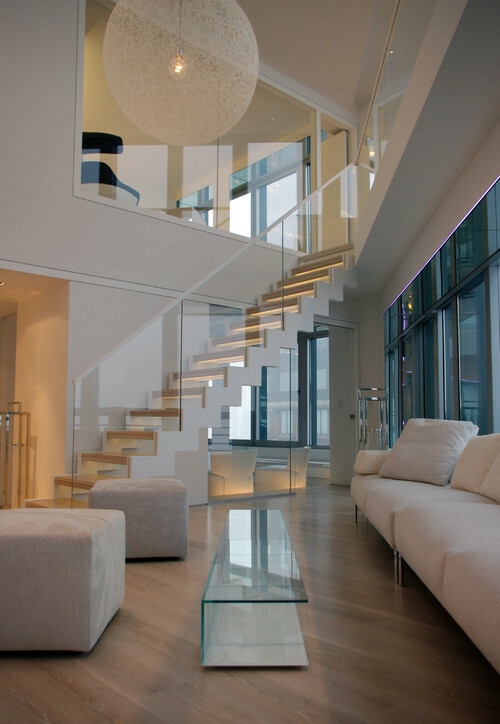 A white Corian staircase incorporate glass and wood to create a classic yet contemporary look. Along with the design concerns though, I had to contend with the stair materials available to me at the Schwoerer Haus design factory in Germany. 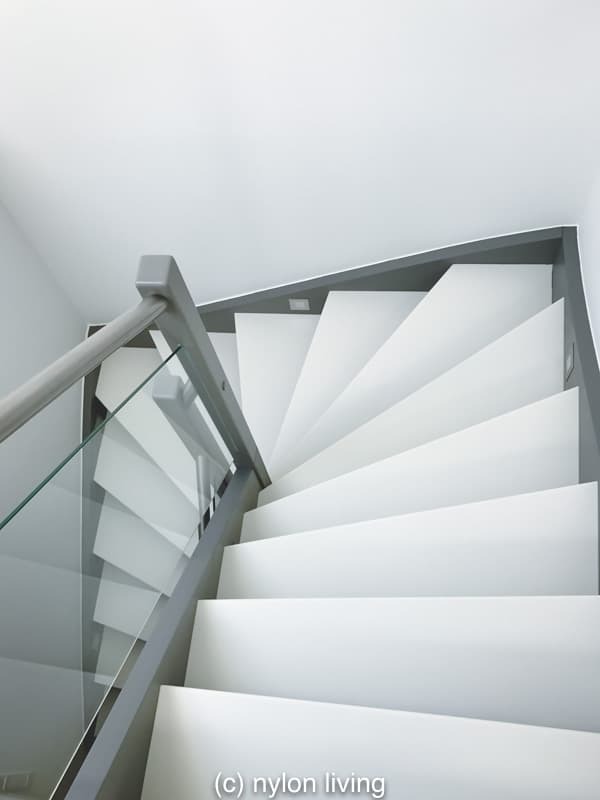 They could do wood stairs in certain woods like oak, granite stairs or they could do a Corian staircase. The wood could be painted whatever colour you chose. 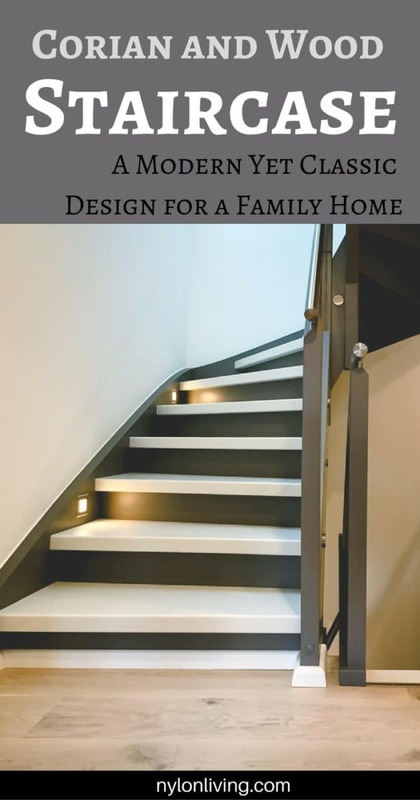 The staircase style could be whatever I chose – whether cantilevered, without risers etc. I chose standard stairs for our house. As babies my children hated spiral stairs, cantilevered stairs and stairs without risers because they were afraid of falling down. I went with a standard style because I knew our house would be a family house even after my family grew out of it. 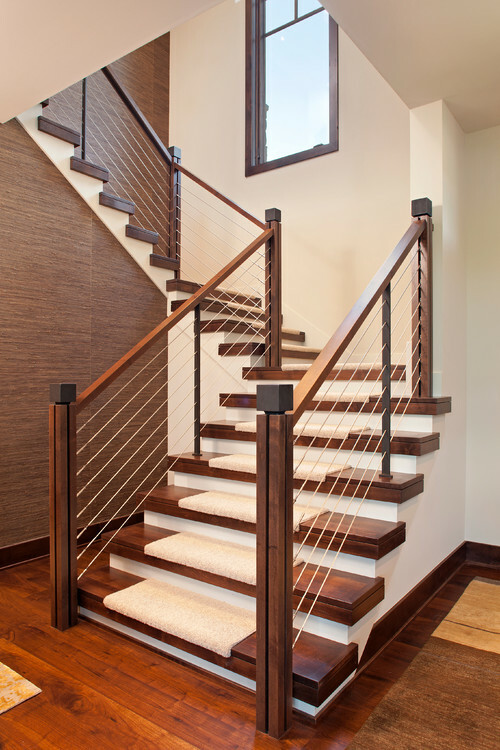 Stairs are not something that is either cheap or easy to replace in a house. Unfortunately, the engineered wood planks I chose for my wood floors was a light grey-washed oak. That wood completely clashed with all of the stair materials options for wood. I loved the light washed oak grey floor and refused to change my mind on that. 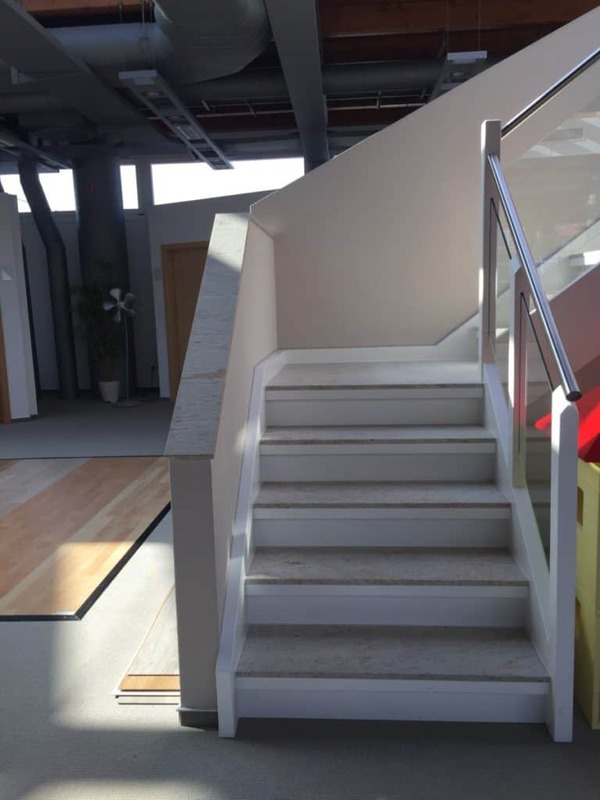 In the Schowerer showroom, there was a white Corian staircase that gleamed modern and cool. I felt, though, it was a bit cold and too modern for us. The all-white Corian staircase looked cool but a bit sterile for a family house. As for the stone option, we don’t have granite anywhere in our house and I wasn’t going to start with the internal stairs. We go barefoot in our house and stone is just cold without underfloor heating. The stone stair case a non-starter for me. I would definitely consider stone stairs and spiral staircases for outside staircases though. We are still in the process of planning our outdoor staircase in the UK from the basement up to the garden. We blew the budget on the internal staircase so the outdoor stairs will have to be budget-friendly. The current depressing state of our basement where the outdoor staircase will need to rise from the mud like a dirty phoenix. Of course, I did not need to buy the staircase from Schwoerer. There are other items that I chose not to get from Schwoerer because I wanted something specific. You can buy staircases online pretty easily. In the end though, my husband convinced me to work with the Schwoerer House people. 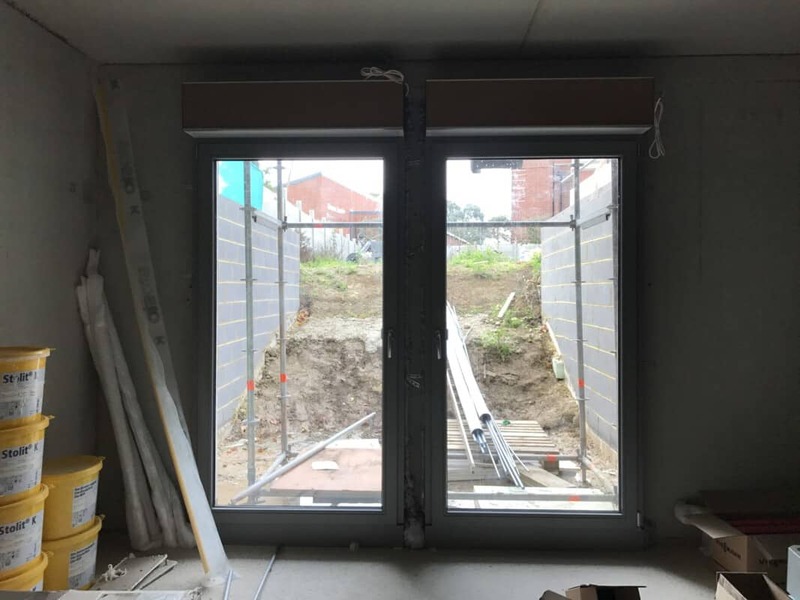 We have had so many starts and stops on this house build that he just didn’t want to add another element into the mix. What to do? I suggested we carpet the stairs so no one can see what the wood underneath was. The German designer nearly fell of his chair. No one in Germany has had carpeted stairs since the 198o’s apparently. It was my house indeed but they could not in good conscience let me ruin it with such poor taste. This righteous indignation made me chuckle because what was considered beyond the pale in Germany was pretty standard in the USA and UK. I didn’t tell them that the German penchant for Anaglypta textured walls in domestic residences was considered old-fashioned in the UK/USA. I had wanted a modern wood and glass staircase but that did not seem to be in the cards! I still wanted something classic with a modern spin similar to the house we were building. In many ways we like contemporary design but we will never be one of those tidy families that grace the covers of Living Etc or Dwell Magazine. My options seemed to be Corian and painted wood in some sort of combination. 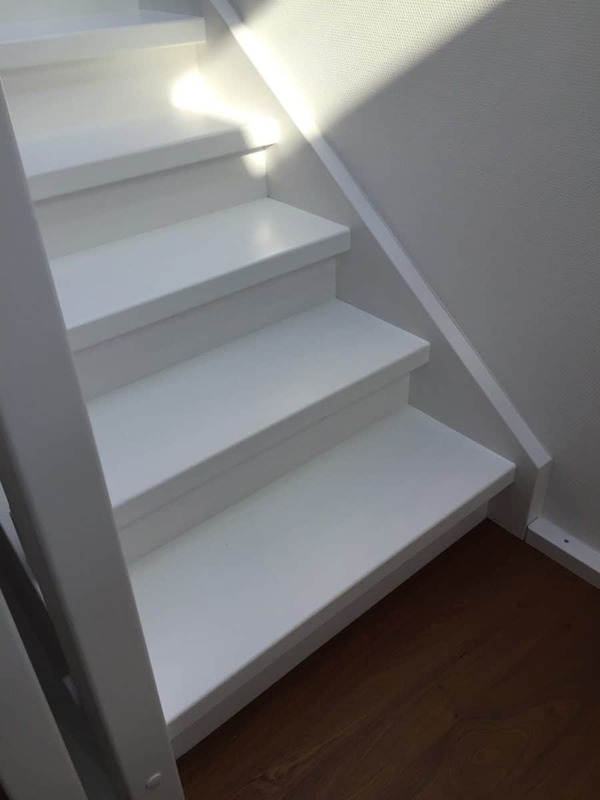 Looking through Pinterest for inspiration, I saw lots of dark stairs with white risers. It seemed silly though to put an expensive material like Corian (which will weather wear and tear well) on the risers. 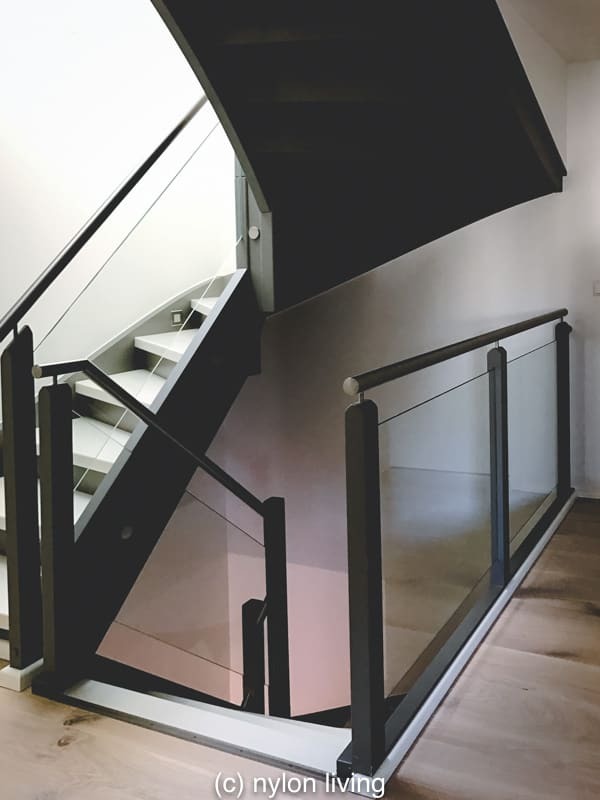 In the end, I chose white Corian stairs with dark grey risers with steel banisters and a glass rail. 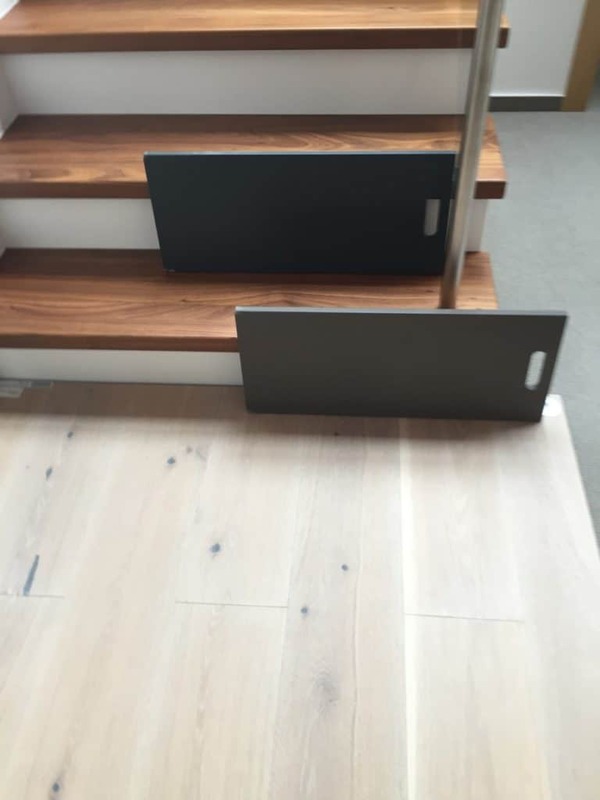 The dark grey risers are the same dark grey RAL color used throughout the house so the colours tie in well. 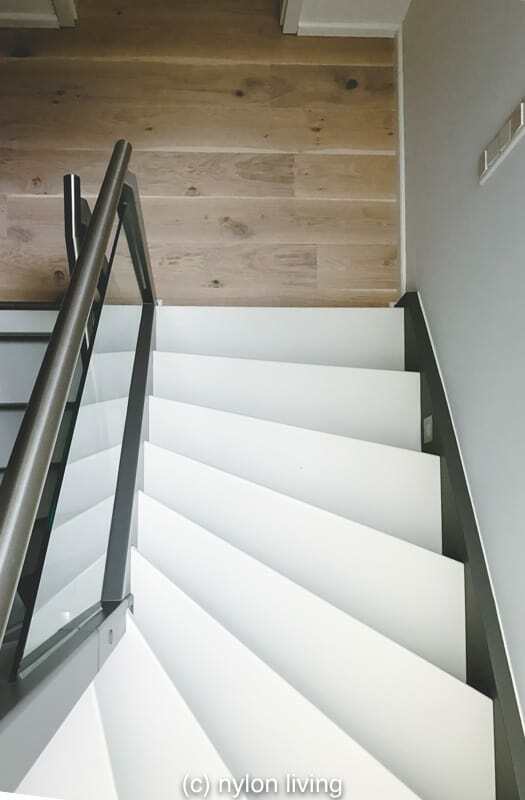 From the top down, all you see is a fan layout of white Corian stairs. 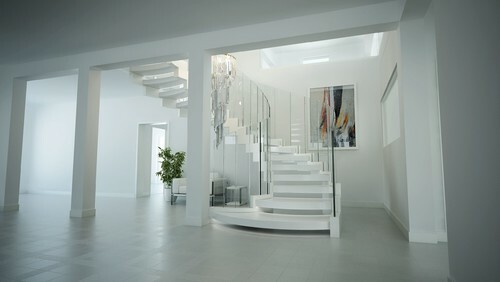 The white Corian staircase curves through the four floors of the house. What do you think? I am pleased with the result although I did spend a few months wondering if I had made a very expensive mistake. I am tinkering with the idea of stencilling the dark grey risers in order to add some character to the stairs. It may, however, be too fussy for the rest of the house once it is furnished. I would also like to live with these stairs for a bit though and see how the current look feels with time.